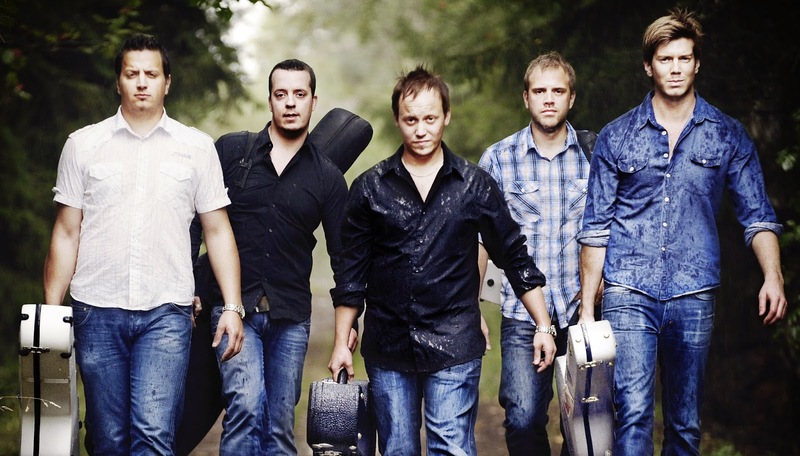 Christoffer Olsson, Jens Koch, Erik Igelström, Tobias Strömberg, and Jimmy Sunnebrandt met at a Swedish festival in 2006 and just one year later, as G2, won first place at the European World of Bluegrass event (EWOB). Since then G2 have appeared on national television in Sweden, toured Europe, supported various artists including Kris Kristofferson and Jim Lauderdale and played at the IBMA Awards Show at the Ryman Auditorium. G2 are about to release their third album, 'Mind Over Matter' (their acclaimed previous albums 'Where The Tall Grass Grows' and 'Untapped Routes' can be found on their website). 'Mind Over Matter' has been produced by Erick Jaskowiak who in addition to being the sound engineer for Darrell Scott & Tim O'Brien's shows was also engineer on Della Mae's 'This World Oft Can Be!' From G2's website, this video shows the band arriving to meet Erick and recording the new album. This video is part of a film (also titled Mind Over Matter) made by David Elfgren of the recording of the album and which will be shown as part of the IBMA Bluegrass Film Festival this year. 'Mind Over Matter' will be released on 9th October but the single 'We Were Kings' will be released on 9th September. The video of 'We Were Kings' was directed by Ulf Hansson and includes Swedish water-colorist Björn Bernström at work.